Mainly developed by Google, Android is one of the most popular operating systems around, powering countless devices from smart phones to tablets. The Netflix streaming media service is available to view on Android devices via an App, allowing users to watch TV shows and films easily, even while travelling. However, a user’s Netflix region is automatically detected through their internet settings and no manual switching is available from within the App, meaning that customers are restricted to the content for their particular region only. Fortunately, there are a number of ways around this issue, allowing customers to unblock the service. The best solution for Android users looking to unblock Netflix is a Virtual Private Network (VPN). With a VPN, all internet data is encrypted and tunnelled through a server elsewhere in the world, giving the illusion that the user is in the location of that server. As a result, Netflix customers can simply connect to a server in a location of their choice and gain access to that Netflix region. VPNs offer a number of benefits over Smart DNS, including increased security and privacy, meaning even ISPs are unable to snoop on internet activity or make use of DNS hijacking. However, VPN services can prevent local websites from working while connected to an overseas server, and the encryption process can cause significant lag. Android offers built-in support for PPTP and L2TP/IPsec protocols and in more recent times, a number of VPN providers have developed specialist client software, allowing customers to make use of the more secure OpenVPN protocol. VyprVPN and ExpressVPN, in particular, have developed strong reputations for great Android support. Individual VPN providers will supply setup tutorials for their own particular software on their websites. However, some other VPN services can be setup using the native Android VPN client. This can be achieved by going to: ‘Settings’ –> ‘More Networks’ –> ‘VPN’ -> ‘Add VPN Network’. After setting up the VPN service and signing in, customers can unblock Netflix by connecting to a server located in a country which has a Netflix service, such as the United States, United Kingdom, Canada, Germany or Brazil. From there, loading up Netflix will result in access to the content library for that region. When looking to unblock Netflix’s service, another effective methods available to Android users is the use of Smart DNS technology. Smart DNS re-routes a user’s DNS queries, sending them through a proxy server based elsewhere. This effectively disguises their true location, giving the illusion that their internet connection is originating from the location of the server instead. Smart DNS proxy servers only work with supported websites and services, so other browsing is completely unaffected. As long as a Smart DNS service supports Netflix, it can be used to unblock the service. 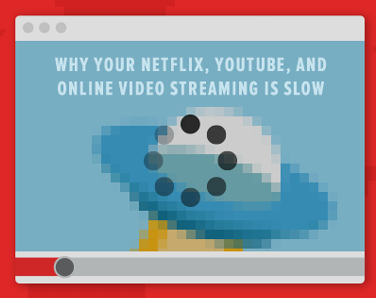 The technology was developed with streaming media services in mind and is ideal because it does not cause internet speeds to slow. Examples of popular Smart DNS services with Android and Netflix support include Unlocator and OverPlay. After signing up for a Smart DNS service, users will be provided with new DNS settings, which must be manually changed on the Android device in order to unblock Netflix. 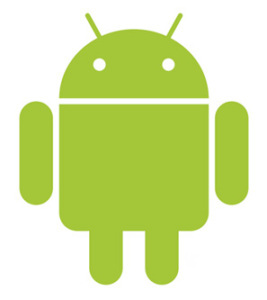 Instructions for changing DNS settings on Android 4.0+ can be found below. Note: It may be worth making note of your current DNS settings, in case you ever wish to revert back to using them in the future. Go to ‘Settings’ and then click on the word ‘WiFi’ (do not click the On/Off button). Press and hold preferred wireless network until a box appears. At the bottom, tick the field which says ‘Show Advanced Options’. Change IP settings to ‘Static’. Keep the settings for IP address, Gateway and Network prefix the same. Select the ‘DNS 1’ and ‘DNS 2’ fields and enter the DNS settings provided by the Smart DNS service. Click on ‘Save’ and then restart the device. With most Smart DNS products, the Netflix region you wish to use can be switched from within your main Smart DNS account. After the settings have been changed and the device has been restarted, load Netflix and you should gain access to the content library for the region you opted for. If you are looking for a quick n free solution for your vacation, check this site with free SmartDNS offers. Depending on the season, they offer more or less coupons for free SmartDNS trials or monthly free subscription.